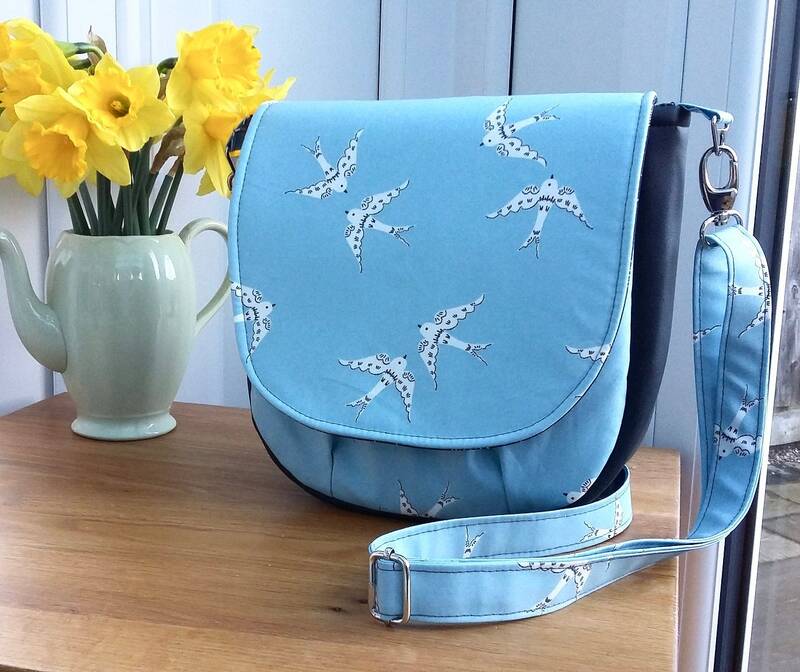 A vintage style saddle bag with a modern twist - it's in organic laminated cotton! 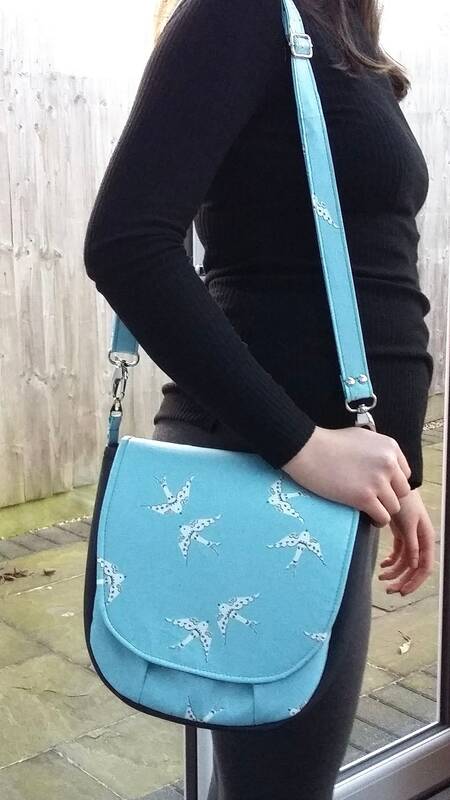 Featuring two turtle doves on a sky blue background, teamed up with a charcoal grey faux leather and indigo tartan check cotton lining, with silver metal hardware. The exterior fabric has a matte finish and a buttery smooth feel, it's wipe clean and durable, perfect for Spring showers! The bag is well padded to define it's curves. Beneath the flap there is a full width deep slip pocket and a further zipped pocket inside. 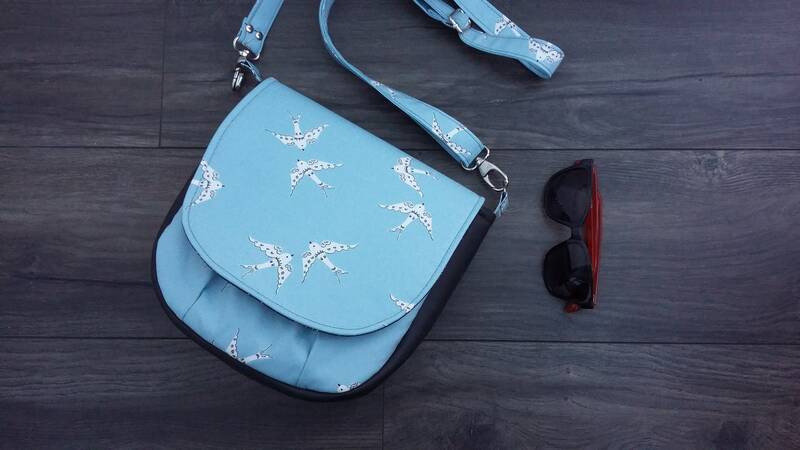 There is a little bird charm on the zip pull. 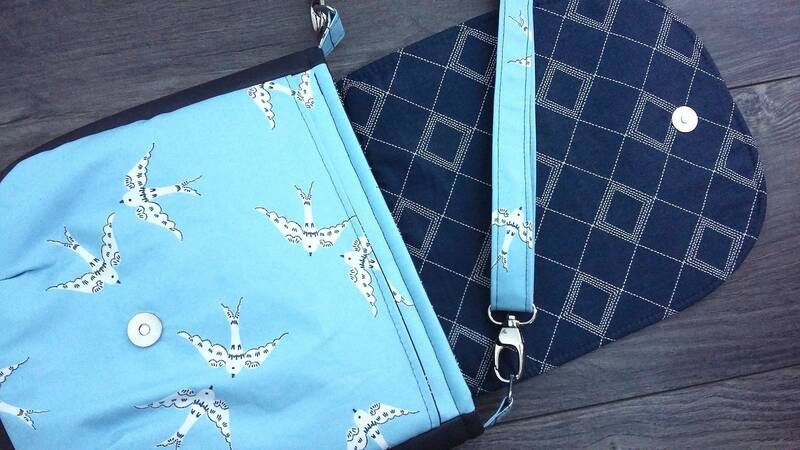 The strap is both adjustable and detachable and can be worn crossbody style or on the shoulder. The bag closes neatly with a slim magnetic snap. She's a great sized bag for everyday use, measuring 9.5 tall x 9" wide x 3.75" deep. 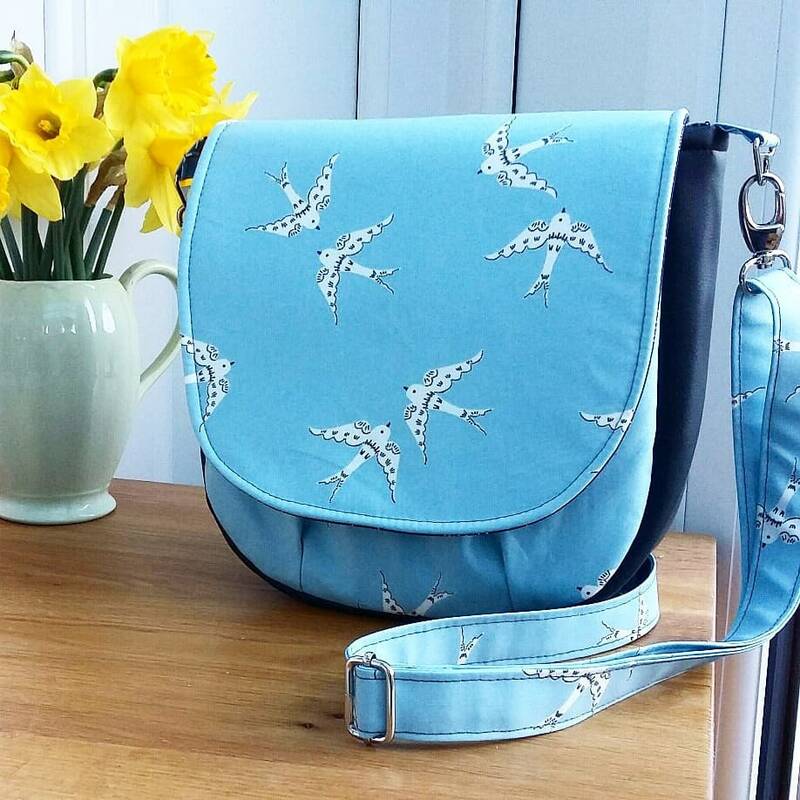 As this is a made-to-order item, please expect 2-3 weeks delivery by 2nd class UK post with tracking or standard international shipping. If you need it sooner than this, please drop me a message.